Sometimes, a casino bet is so big or so outrageous that it's almost unbelievable. These three bets were so huge they became legendary. Professional and amateur gamblers alike have one thing in common: They love the thrill of a big payoff. This love of the game can sometimes lead players to make bets that most people would consider too crazy to be real. Here are a few of the biggest casino bets of all time that are so big they will leave you speechless. In early 2004, Ashley Revell decided that he was going to make a major life change and sell all of his possessions. The young, British man proceeded to sell his television, car, bicycle, electronics and every bit of clothing he owned, then close out all of his bank accounts and create a single, enormous poker bankroll of $135, 300. Revell had a grand plan, however. He flew to Las Vegas and decided to start his new life by placing his entire bankroll, and essentially his entire life, on a single spin of a roulette wheel. Luck was with him that day, though, because he won the bet and walked out of the casino far richer than when he walked in. William Lee Bergstrom was a Texas-born high roller that still holds the record for one of the single largest bets ever placed in a casino. In September of 1980, Bergstrom decided to try his luck at Binion's Horseshoe Casino in Las Vegas. He brought two suitcases: One was empty, and the other contained $777,000, which he considered a lucky amount. Back in the 1980s, the casino owner's policy was to honor any wager, no matter the size, as long as it was the player's first bet. 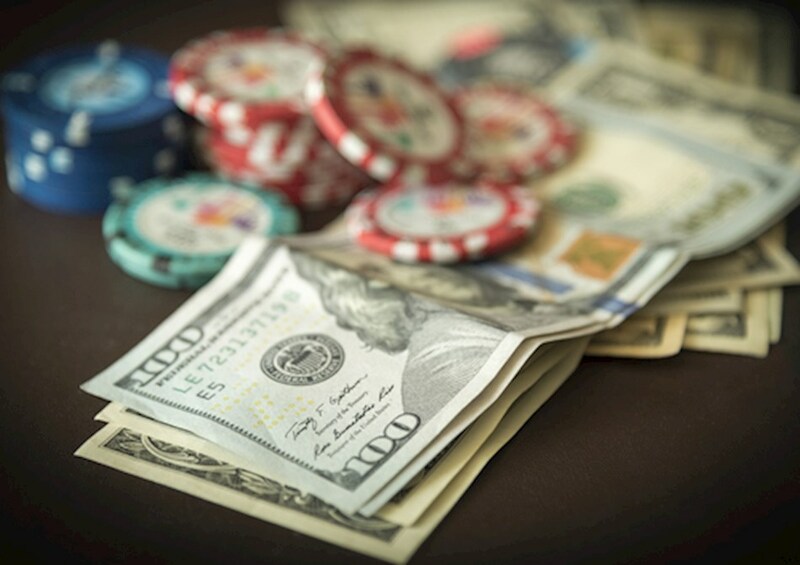 Bergstrom took advantage of this rule and bet the entire $777,000 sum on the Don't Pass line of a dice game and won, resulting in a doubling of his winnings. Because he placed his bet anonymously, he is also sometimes known as The Phantom Gambler. Bergstrom repeated this process of wagering an outrageous sum of money on a single roll of dice and ended up winning $538,000 and $117,000 on two other occasions. Archie Karas was an unemployed waiter who was completely broke and down on his luck. In the hopes of turning things around for himself, he borrowed $10,000 from a good friend and took his money to Binion's Horseshoe Casino. Unlike Bergstrom, Karas decided to use his bankroll at the casino on a poker competition. Fortunately for Karas and the friend who loaned him the money, his luck did indeed turn around that day. Karas managed to beat 15 of the best poker players in the world. Then, still riding high, he moved on to playing craps and racked up even more winnings. By the time he was ready to cash out, Archie Karas walked out of Binion's with $17 million. Not too bad for a $10,000 investment!